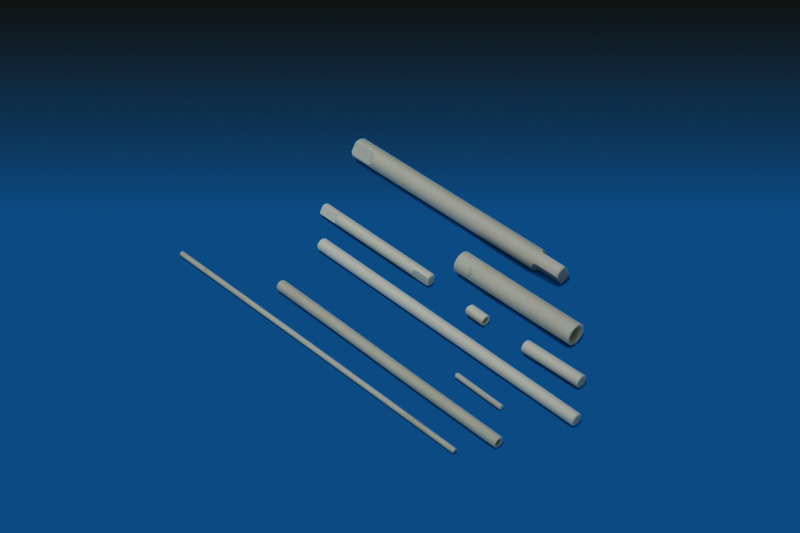 This ceramic insulation material is mostly characterized by its hardness and a low dielectric loss factor. Those characteristics combined with big shape diversity and exact processing opportunities are the reason for various usage possibilities - not only in high frequency technology. 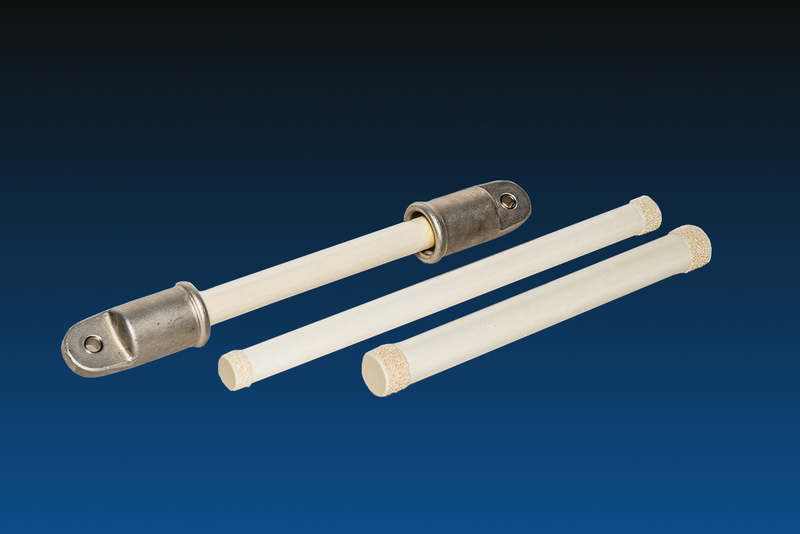 Beneath supporting insulators and bushings we produce also axes and tubes. 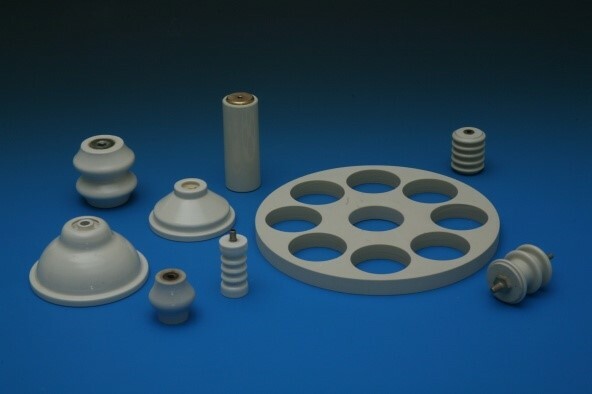 They can be manufactured with a diameter of 2 mm up to 80 mm and - according to the diameter - with a length up to 1 m.
Supporting insulators are furnished with screw sockets and agglutinated with epoxy or refractory resin according to employment temperature. To ensure a better contact it is possible to silver the surface.